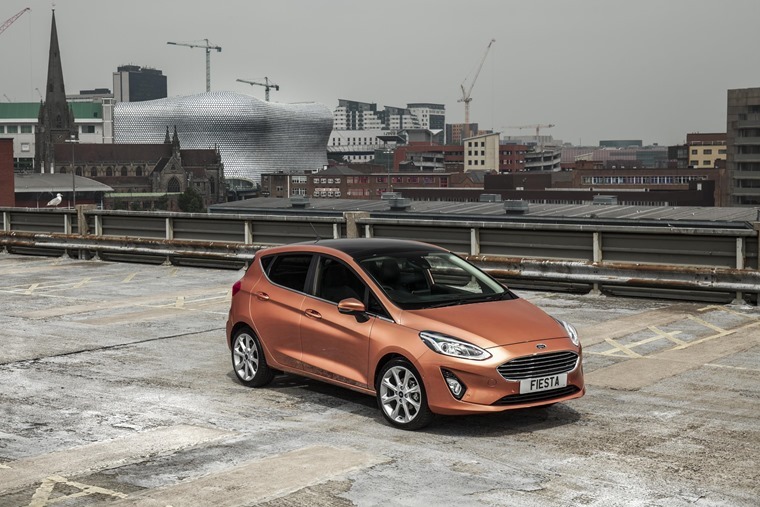 After eight years as Britain’s favourite car, and with 59,380 of the outgoing model sold already this year, the Ford Fiesta is hoping an all-new model arriving this month will help it to continue to dominate the new car market. 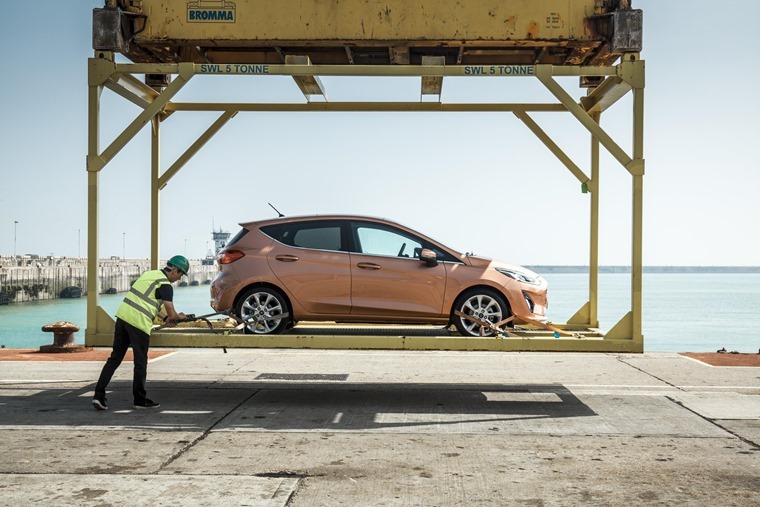 The first new Fiesta to be unloaded was a five-door Titanium with premium B&O PLAY audio, 1.0-litre EcoBoost 100PS engine and eight-inch touch screen connectivity. It was transported to a dealership in Birmingham, where most Fiestas are sold. Across the country, 1,000,000 Brits have ordered new Fiestas since 2008 and over 4,500,000 since the car first arrived in 1976. 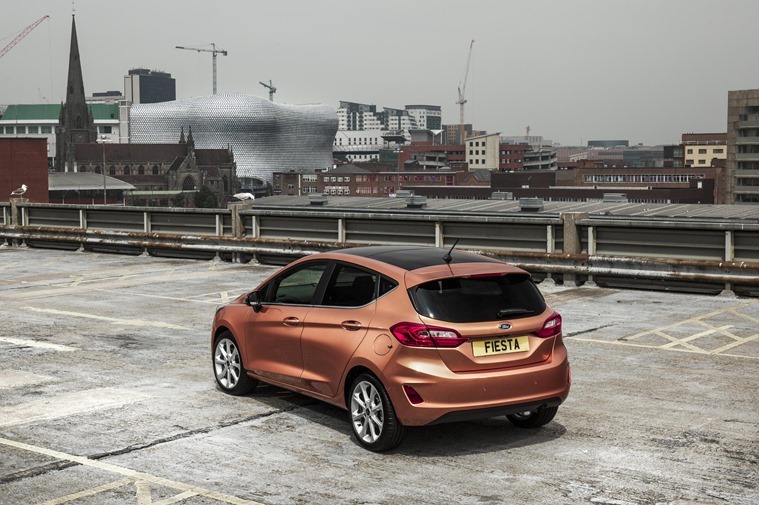 Of the 120,000 Fiestas registered in the last 12 months, 70% were five-door models, 90% petrol and 60 % Zetec, while 20% chose the Titanium series. The new Ford Fiesta is billed as the most technologically advanced small car on sale thanks to 15 high-tech features ensuring a safe and smooth journey such as Pre-Collision Assist featuring pedestrian detection, meaning that the driver is warned of people who are in or near the road ahead, automatic perpendicular parking, blind spot alert and auto high beam. Joining the Ford Fiesta’s core range of Zetec and Titanium in dealerships this month will be sporty ST-Line and luxurious Vignale models in early autumn, both offering the acclaimed 1.0 EcoBoost 140PS engine, followed by an all-new Active crossover and hot ST in spring next year.